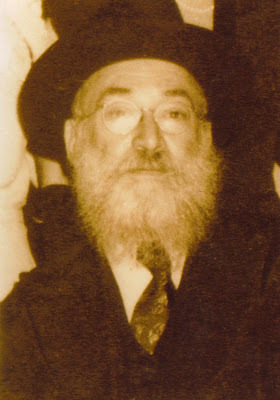 Rabbi Dovid Mordechai Twersky, born in 1888, was the eldest son of R. Menachem Nochum, the second Tolner Rebbe. He was married to Chava the daughter of Rabbi Shlomo Zalmina Zukerman of Rashkov. In August, 1913 he left Russia for the United States. His leaving Europe was spurred by a series of events that found him at odds with the Russian government, including being arrested in order to be enlisted into the army. After being accused of stealing several Torah scrolls, he decide to move to America. He was in fact rescuing the scrolls that belonged to his father's synagogue from the house of the thief. He opened a synagogue in the Lower East Side named Kahal Chasidim at 9 Attorney Street and later moved to Brooklyn at 142 21st Street. R. Dovid M. and Chava had two sons and four daughters. Their sons were R. Yochonon, the Tolner Rebbe of Jerusalem and Nick Nochum Tolner. Their daughters were Lillian, married to Harry Schwamm, Edith Moore, Dora Klein, and Sadie Gushlowitz. He died on 1957 and was buried in United Hebrew cemetery on Staten Island, NY. See picture of grave below. See at right an article from the 1913 in the New York Times about the arrival of R. Dovid M. in New York. 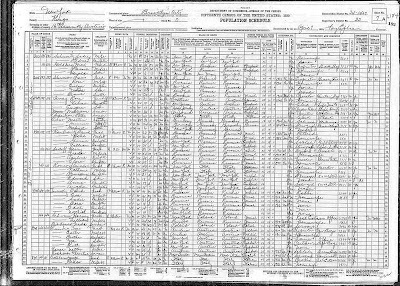 See below ship manifest listing R. Dovid M. and 1930 US census listing R. David M. and his family living in Brooklyn. 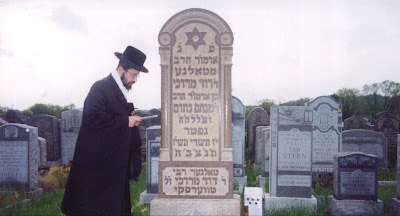 The Gabai mentioned in the article is most likely my great-great grandfather, R' Tzvi Hirsh Sirkus, or possibly his son, my great-great uncle, R' Avraham Sirkus.